On the Feast of the Immaculate Conception we were blessed to have a Solemn High Mass at St. Austin & St. Gregory's. Fr. Marcus Holden came over from Ramsgate to be deacon and Fr. Bernard McNally was subdeacon. 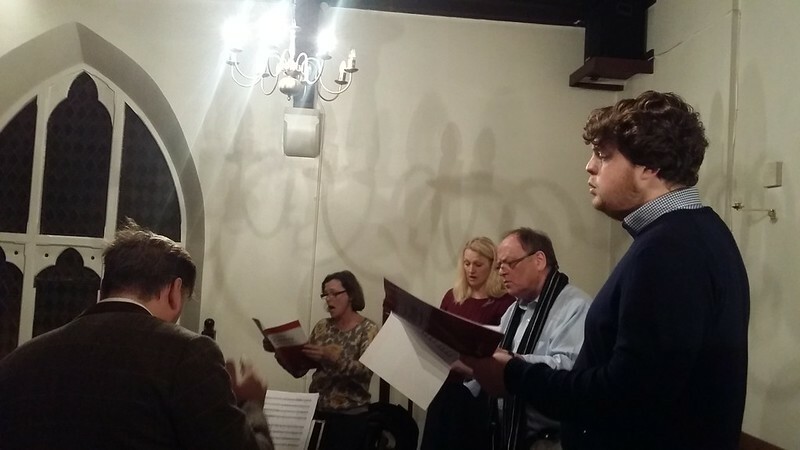 I wasn't needed to sing, as we were even more blessed to have some members of the wonderful Victoria Consort to provide the music. We had Palestrina's Missa Brevis among other things - the first time I've heard it, and it was gorgeous. Not having to shuffle bits of paper and work out what note to start on meant that I was free to let the music lift my heart and mind to God, and watch as the liturgy unfolded in front of me - the ritual movements and gestures, so carefully choreographed over centuries, are supremely satisfying. I have heard "bells and smells" referred to in disparaging tones by those who dislike the resurgence of the traditional Latin Mass, but there is a certain amount of truth in the phrase. Our faith is an incarnational one - we are not spirits trapped in a physical body, we are created body and soul, together from the first moment of conception. Furthermore, at the end of time, body and soul will be reunited. Death, that separation of body and soul, is so awful to us because it was not meant to happen... it happens because of Original Sin. 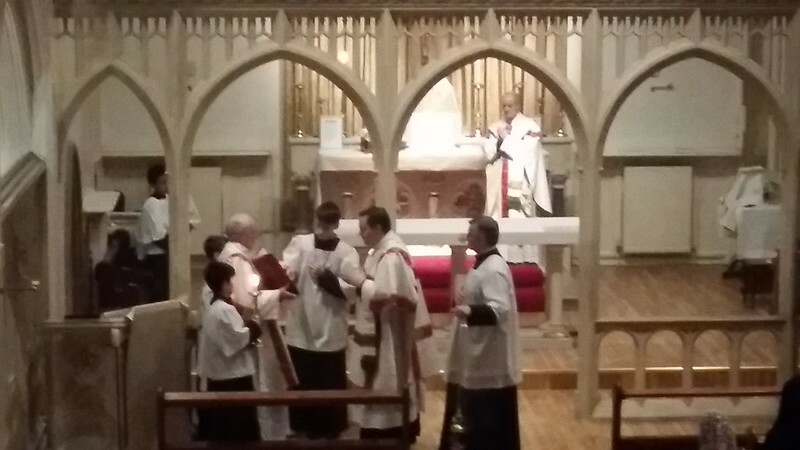 The Mass addresses both the physical and spiritual aspects of our nature, and this is why beautiful music and vestments, and careful observation of the rubrics are so very integral to the worthy celebration of the Mass. I took photos to try and capture some of this beauty and dignity, to share with people unable to attend a traditional Latin Mass for themselves. I haven't had much opportunity to work out the best camera angles at St. Austin & St. Gregory, but I don't think the results are too bad. You can see more over on my Flickr page. 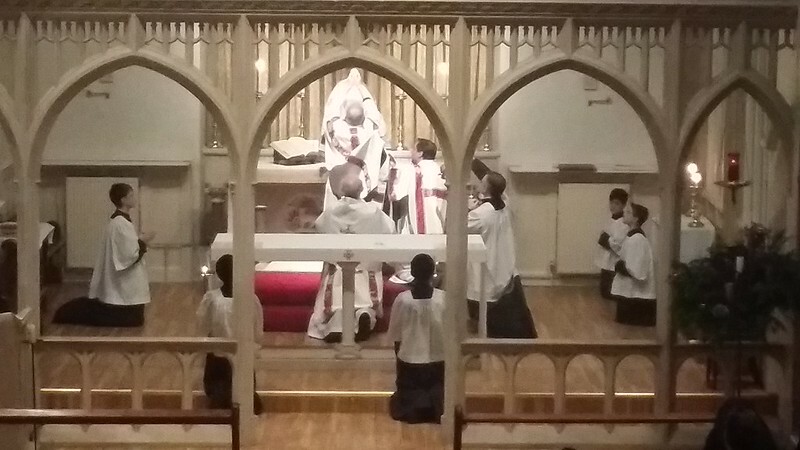 2016 got off to a flying start - Mass at St. Austin & St. Gregory's, Margate, where we chanted the Veni Creator Spiritus with the intention of obtaining the plenary indulgence attached, and the wonderful news that His Hermeneuticalness was recovering well from his heart operation. In fact, the number of tweets he was posting suggested that he was experiencing a mild state of euphoria due to the drugs he's on. Today's feast is one of the few where I experience a "conflict" between the old calendar and the new. According to the usus antiquior, today ought to be the Octave Day of Christmas and the Feast of the Circumcision of Our Lord. 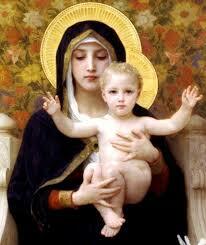 In the new calendar it is the Solemnity of Mary, Mother of God. Normally I'd be content to stick with the old, but I do like the idea of starting the year off under Our Lady's mantle, as it were. I hadn't intended to be up and about for the witching hour as I'm trying to get back into regular sleeping patterns for the new term, which starts on Monday. 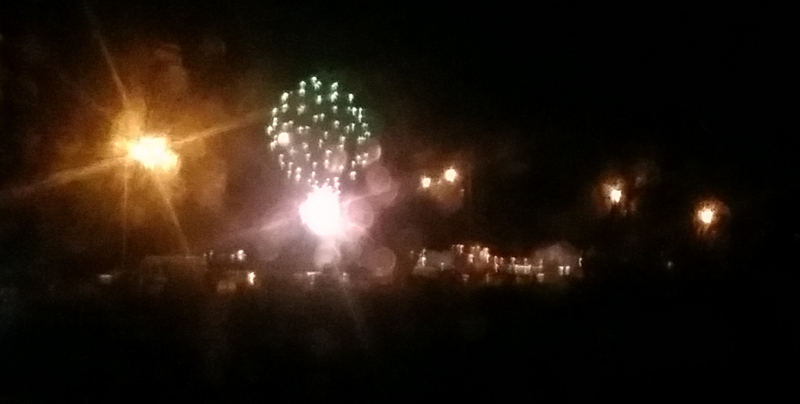 However, since I found myself wide awake, I decided to watch the firework display over Margate's harbour arm from my front room. It was glorious, but rain on my windows marred the photo just a tad. 2015 has been my worst year for blogging output since I started back in May 2006; looking at my sidebar list of posts revealed that I published only 28 posts. That averages out at one every two weeks. And I've realised that I have actually missed blogging. Writing helped me to marshal my arguments and think things through. So one of my New Year's resolutions is to write more for the blog.